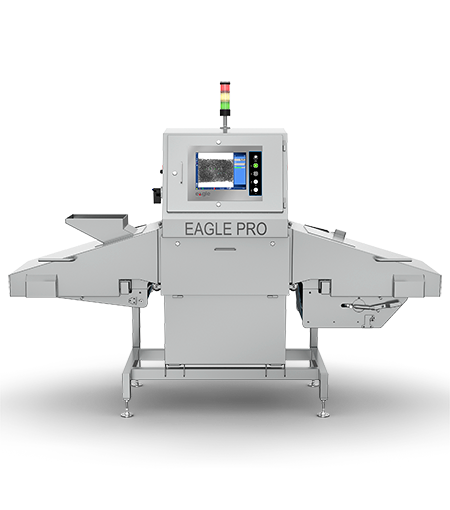 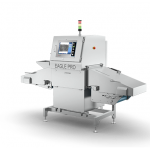 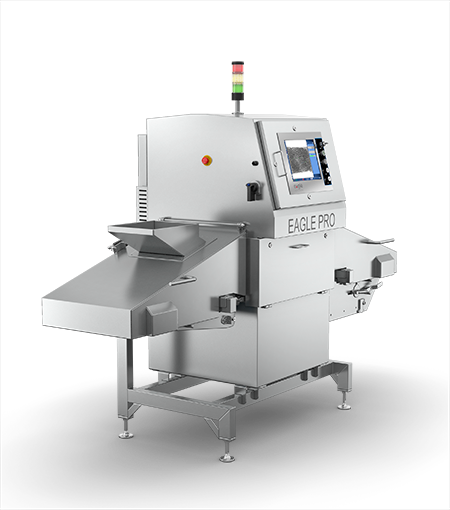 The Eagle Bulk 415 PRO maximizes contaminant removal while cutting product waste and reducing downtime to boost line efficiency for dry bulk product applications such as nuts, grains, granola, sugar, cereals, coffee and other high-volume bulk products. 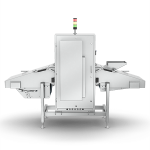 The x-ray machine’s unique cupped belt construction is ideal for efficient transport, contamination inspection and rejection of high-volume loose flow product. 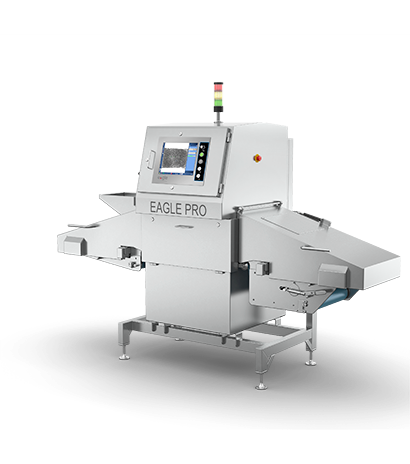 This proprietary belt design promotes uniform flow of product while reducing spillage and product loss. The unique placement of the infeed shoot reduces dust and product blowback limiting wear on bearings and other active components thereby increasing machine longevity, especially for fine granular product applications such as sugar. 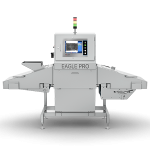 An innovative four-lane flap rejection mechanism, each covering one quarter of the belt, helps to ensure contamination is removed from the production process while keeping the ejection of good product to a minimum. 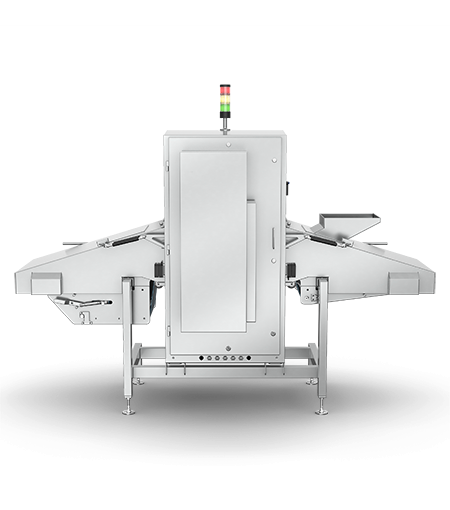 This not only cuts the risk of substandard product reaching end consumers, but also reduces product waste, protecting profits and enhancing efficiency. 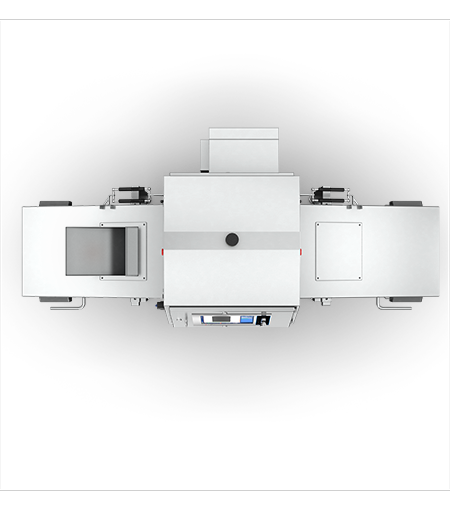 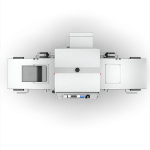 With impressive contamination detection capabilities, the system provides 485 mm (19”) of detection coverage at the belt and high-speed imaging up to 64 meters per minute (210 FPM).